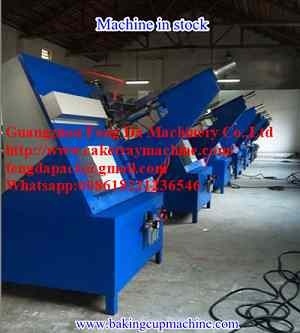 feed paper and collect the end products, so the semi-automatic baking cup machine is replaced. Our machine can be used with many different types of mold. (round, square, rectangular, triangle, etc. 1. Our machine is with high speed and high efficiency. 2. Simple operation and easy to change the mold. 3. Offer mold design service. There are more that 20 factories for automatic baking cup machine in China. We can not guarantee you the most lowest price, but we can promise you the unique product quality. It is easy to rust and wear machine. Not matter for what products, quality is the most important point.